Want to become successful in your life? Struggling to take your real estate business to the next level? 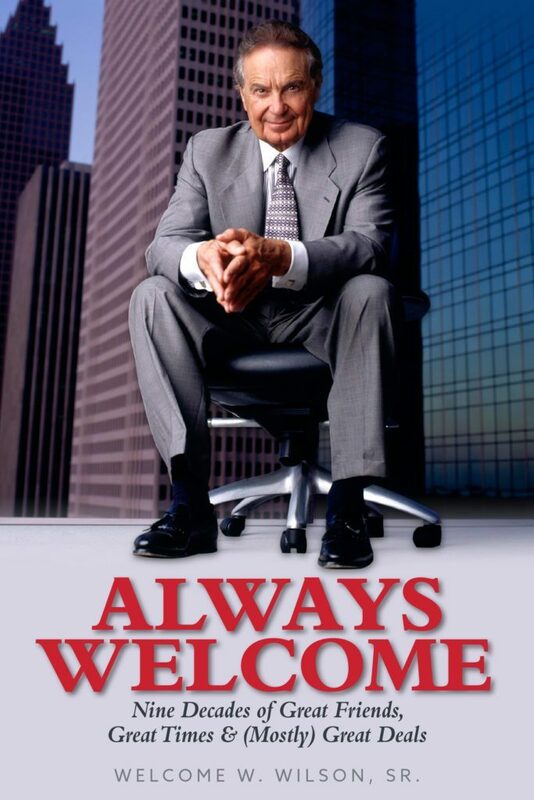 No fuss, we’ve picked out a new book titled ‘’Always Welcome’’ for you. The book is written by Welcome Wilson, Sr., the chairman of a privately-held real estate development firm Welcome Group. When it comes to accolades, Wilson has won several prestigious awards for his accomplishments. The book is available to buy on Amazon. It’s an ideal package for those struggling with their financial life, and those who want to learn more about Wilson’s life. The book is comprised of Wilson’s life-altering experiences that led him to become multi-millionaire real-estate investor in Houston. There’s so much you can learn from Wilson’ life in this book. It has everything for everyone. If you or your friend is search of some good books, be sure to give ‘’Always Welcome’’ a go. The majority of people who’ve already read this book feel no hesitation in recommending it to anyone wanting to achieve big in life and learn more about Welcome Wilson’s life. What’s your take on this? Have something interesting to say about Wilson? Please feel free to offer your feedback in the comment section below.